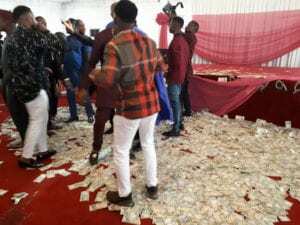 Some Nigerian socialites and businessmen were at it again yesterday, Sunday March 25th, during a child dedication party in Imo state. 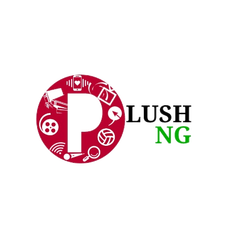 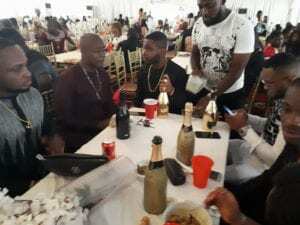 The colorful ceremony which had Imo big guns in attendance – was to celebrate the child dedication of little Miss Adaeze Madu, daughter of Mr and Mrs Elvis Madu, the CEO of YKom Records. 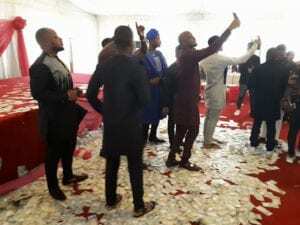 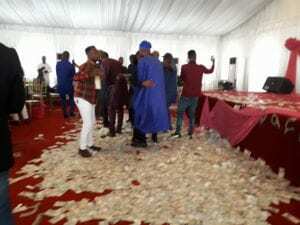 Guests and friends who attended the party which was held at Cubana Lounge in Owerri, the state capital – sprayed huge cash in the course of the celebration as seen in the pictures.